Come to Wrexham, see Wrexham, spend some money and also charge your car! NOTE: This content is old - Published: Thursday, Mar 8th, 2018. 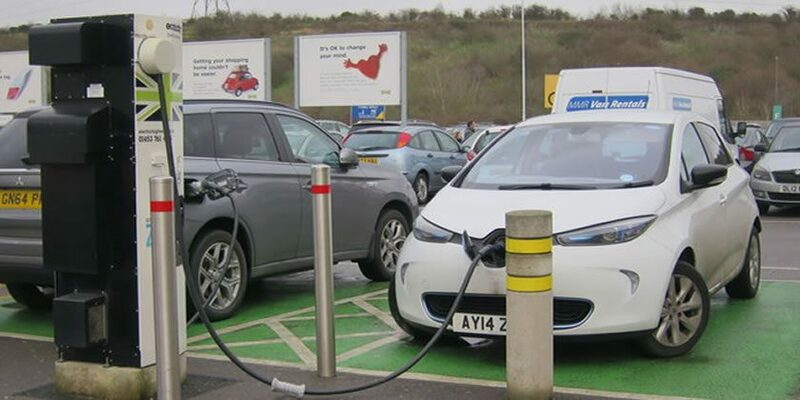 Wrexham Council are set to approve plans to install electric vehicle charging points as part of an initial two year phased programme of works that could see 10 points across the borough. We are told around 3500-4000 people have electric or hybrid vehicles in Wrexham County Borough, and across the UK the number of electric cars went from 3,500 in 2013 to more than 130,000 by the end of December 2017. 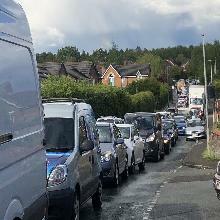 Phase 1 will be focused on Council operated car parks, with the £132,500 cost funded through the Council’s existing cash limited carbon budget which is supplemented from ‘green’ revenue, and a second phase subject to Welsh Government grant funding that would be focused on sites of ‘strategic transport importance’. – Pontcysyllte Aqueduct (Trevor Basin). Welsh Government have allocated a £2m pot for this type of roll out across Wales, and Wrexham is looking to get £180,000 via an application. If successful the second phase would happen and Wrexham Industrial Estate – Redwither Tower, Llay Industrial Estate, Ruabon Train Station, Chirk – Glyn Wylfa and Wrexham Bus Station would get the charging points. Cllr Bithell told us he was ‘hopeful’ of getting Wrexham’s share of the £2m fund from Welsh Government. The charging points will be via a third party supplier who will install and manage the ongoing operation of them. Through this model the Council will maintain ownership of the infrastructure and the charging points allowing for further expansion and development of the network in the future. We asked Cllr Bithell if he had an electric car, and if not, would this type of facility make it more likely for him to get one in the future. Cllr Bithell explained he is currently not driving an electric car, although Wrexham Council do have two, but was keen to point out the BlueMotion VW is very energy efficiency. Explaining how by 2040 there is a UK wide phase out of petrol and diesel cars it would be something he is looking at in the future, as will all drivers eventually. Read 1,189,931 times in last 30 days, and 74,049,294 times since we started in 2011.